Food preparation is, in more ways than one, an art, and the people working in it, from the chefs all the way to the kitchen assistants, are all artists. The end result, of course, is good food. But good food is not produced out of the sheer talent of the hands of the people preparing them. There are also various factors at play. One of these factors is the set of tools used in the process. If we are to list down the must-haves of every kitchen, whether a large kitchen in a restaurant or a humble corner in a small apartment, it is likely to include a stove, an oven, and a set of pots and pans, as well as cooking utensils. But there are other tools and kitchen appliances that are now seen to play bigger roles in the kitchen, and one of them is the stand mixer. 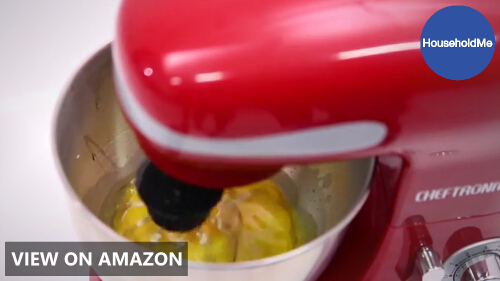 What Will A Stand Mixer Do For You? In the kitchen, a mixer is considered to be an essential device since it basically automates the repetitive and tedious tasks of beating, stirring, whisking or mixing ingredients. They come in different forms, from the simple handheld eggbeater and hand mixer to the often larger and even industrial-sized dough mixers. Somewhere among these selections is the stand mixer. 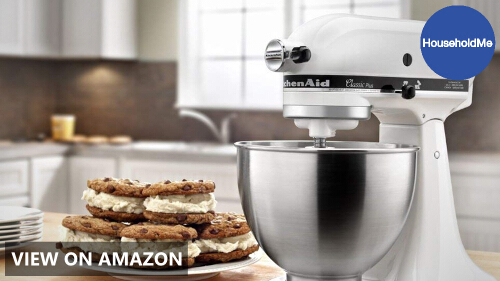 Compared to the handheld hand mixer, the stand mixer is bigger and equipped with a more powerful motor. This device can stand upright on a solid base and a sturdy frame supporting a mixing bowl, the motor, and the various mixing parts, such as a wire whisk, a beater, and a dough hook. A stand mixer could either be a countertop model, or a freestanding unit that can be placed on the floor. Usually, the floor models are bigger and used in larger, more demanding operations, such as a restaurant kitchen or a bakery. Countertop models are those usually found in homes, on a table or kitchen counter. 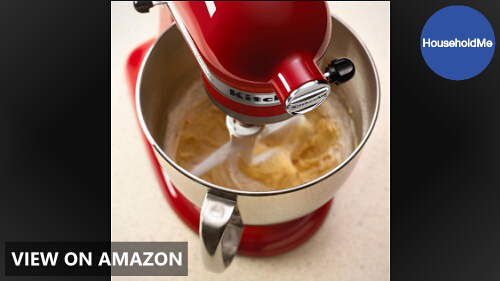 There is a general consensus among chefs and bakers that a mixer is a godsend in more ways than one. In recent decades, as stand mixers evolved and proved to be more useful even in simple and ordinary kitchens in households, they have, indeed, become essentials. 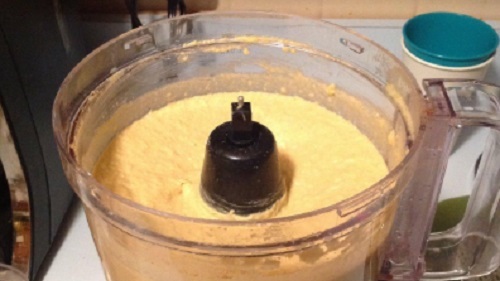 First and foremost, a stand mixer speeds up the process of food preparation. All it takes is to measure all the ingredients and put them into the bowl, turn it on, and let it do the mixing, while you do other things. A stand mixer also allows hands-free mixing, which easily translates to less mess and easier cleanup after you are done with cooking. Hate kneading dough because of all the mess? Let a stand mixer make things easier for you. The versatility of a stand mixer is also something to be appreciated. Aside from a beater, several other attachments also come with the unit, such as a wire whisk or a dough hook. This opens up a lot more options on things that you can prepare and make in the kitchen. So the next time you need something to mix, beat, or even knead, and you don’t want to abuse your hands too much, a stand mixer is an obvious answer. 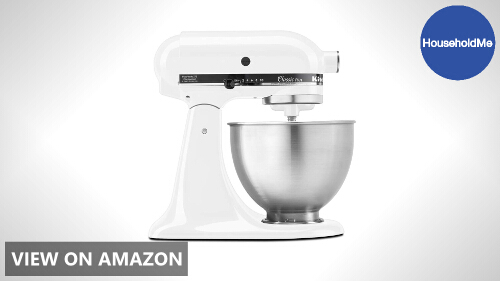 You’d definitely be impressed by the advanced features of stand mixers today, especially the latest models. However, they also come with a corresponding price. The more advanced the features, the more expensive the unit will be. 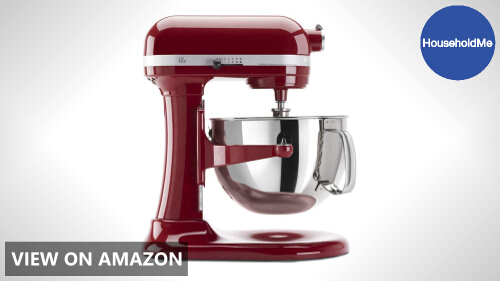 Fortunately, most people don’t need the high-tech industrial-grade stand mixers. So we are rounding up the top 5 value-packed stand mixers that you can choose from when buying a stand mixer for your home. 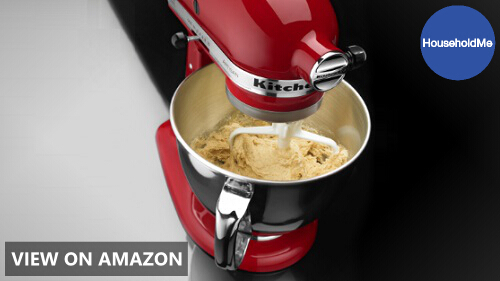 This 6-quart stand mixer from Kitchenaid is capable of mixing large batches of heavy ingredients and dense mixtures, thanks to its 10 mixing speeds and the solid support made possible by its Bow-Lift design. Imagine being able to come up with 13 dozen cookies at one time, in one batch. That’s a real workhorse right there. 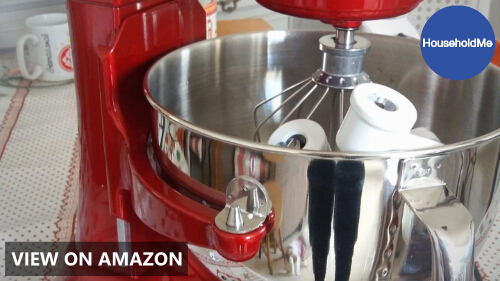 With its sleek stainless steel body in glossy empire red color, it is sure to catch your eye; and at an affordable price, it’s well within the range of those looking for a stand mixer that does not break the bank. At an even lower price, the SM-928 offers 6 speeds running on a powerful 350W motor, so you can mix 1.1lb of dough in a single batch with ease. Its compact design is certainly made with the newbie stand mixer user in mind because it is easy to move and operate. 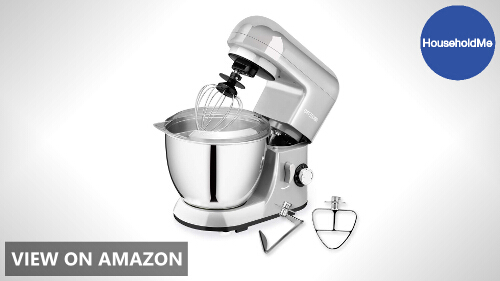 Aside from the usual mixing accessories, this electric mixer also comes with a splash guard, which lets you easily add ingredients in the middle of mixing without making a mess. It also comes in a fire-red color, adding a pop of color to your kitchen. 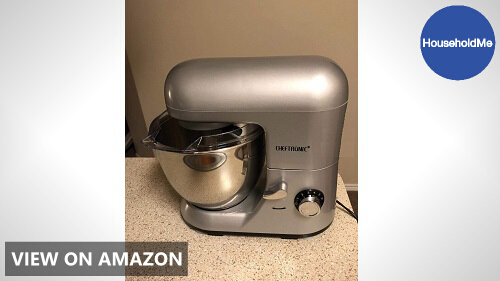 Likely to appeal to minimalists, this high-performance stand mixer from CHEFTRONIC comes in a durable plastic housing with a classic silver color, and it comes with a decent price tag. The 4.2-quart capacity bowl is made of food-grade stainless steel, making it tough and, at the same time, easy to clean. It bears the signature tilt-head and anti-slip design of this line of stand mixers from this brand, ensuring ease of installing and uninstalling parts and accessories while keeping the unit steady and stable on your tabletop while mixing. 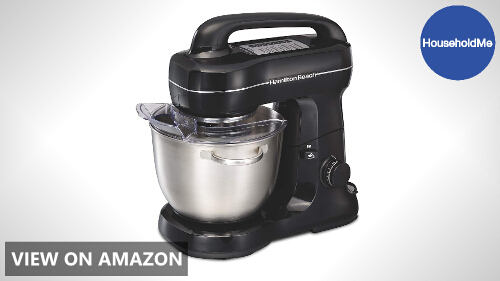 Mixing is guaranteed to be complete and even with the use of this 4-quart 300-watt stand mixer from Hamilton Beach. You’ll definitely appreciate how the attachments, particularly the dough hook and flat beater are nonstick, so there’ll be a smaller mess to deal with during cleanup. There is also a splatter shield against any drips or spills while mixing, and it will only push you back $84.00. You might think the KitchenAid KSM75QH is an expensive unit. However, you have to take note that this stand mixer has a multipurpose attachment hub that can work with over 12 attachments to easily turn the unit into a culinary center. 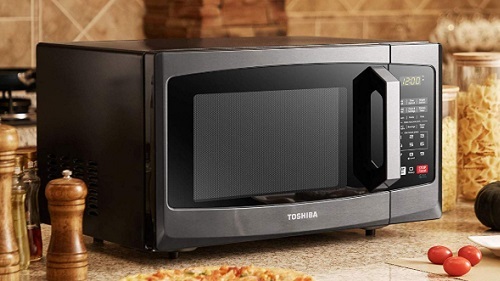 That means that it’s no longer just a mixer for ingredients, but an all-around device that you can also use to make pasta from scratch, among other things. Its 10 mixing speeds also make mixing an effortless chore, with perfect results. This unit especially takes pride in the 59-point planetary mixing action around the bowl, so you can be sure that everything will be thoroughly mixed. Even if you are on a tight budget, it does not mean you should compromise on the quality of the stand mixer. If you look hard enough and do your research, you are bound to find the stand mixer that is perfect for your needs, and within your budget range. But you should not let the price solely drive your buying decision. At the end of the day, an affordable stand mixer is one that gives you the best value for your money, and not necessarily the cheapest or the most expensive one in the market. A good performance indicator is the mixer’s motor. 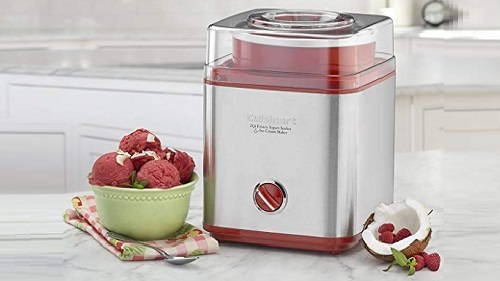 If you expect to be mixing heavy ingredients, you’d definitely need one with a powerful motor, so it won’t break down at the first attempt to handle a dense mixture. If it can handle a large volume of ingredients in one batch, then it’s definitely worth looking into. This is the probably the most important factor to consider. A stand mixer can have anything from 4 to 10 mixing speeds – probably even more in more high-end and expensive brands – and depending on your needs, you should consider the type of mixtures you expect to work with. Of course, if you think you won’t need more than 6 speeds, you don’t have to force yourself to spend more money on a 10-speed one. Do not just focus on how it looks on your countertop. You also have to consider if it will hold up even against frequent use. Normally, plastic construction is not advised when it comes to such kitchen devices, but manufacturers are now able to come up with stand mixers made from highly durable plastic material for the housing or casing. A tilt-head design is also generally preferred since it allows easier manipulation of the bowl and mixing accessories. Of course, stainless steel is still the way to go when it comes to the mixing bowl. That way, it can also be used for mixing other things, and not just for the stand mixer. 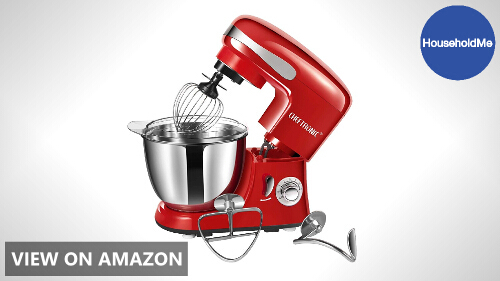 By default, most people expect a stand mixer to come with a flat beater. But more and more accessories for mixing are also thrown in, including a dough hook and a wire whip or whisk. Some even come with scrapers. Check that these accessories are also of good and durable quality so they can last you for a long time before they’d have to be replaced. Newer models are designed with attachment ports for increased versatility, and there is nothing wrong with spending a few extra dollars if it means you can do more with your stand mixer. For example, there are stand mixers these days that can accommodate attachments such as meat grinders, pasta makers and even an ice cream maker.